More sparkle and shine at Kors. 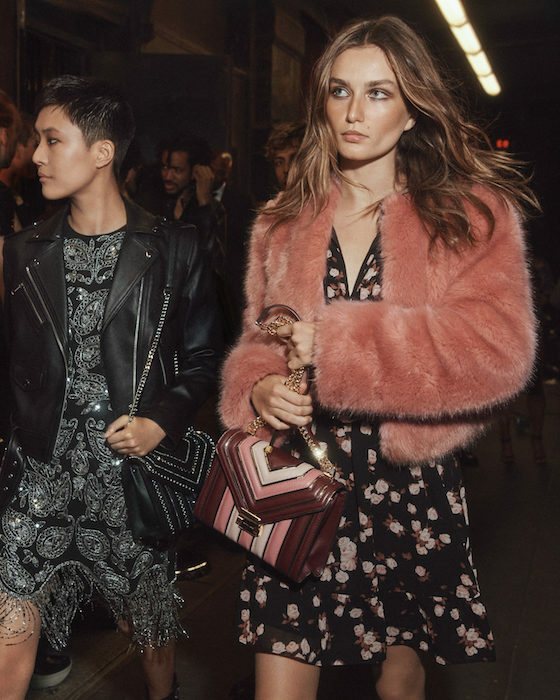 The MICHAEL | Michael Kors Holiday 2019 Ad Campaign takes us to the glamour party! Photographed by Lachlan Bailey, models Andreea Diaconu + Sohyun Jung are capture the social mood of cheers at a downtown club (of course). Capturing a group of stylish friends—Andreea Diaconu, Sohyun Jung, and a couple of fave guys go clubbing in the city that never sleeps. Here’s a sneak peak of the campaign, with more of my images of the fab bags + sparkled items for the girls coming soon! In the meantime, the guy gear for holiday includes fave Menswear face Baptiste Radufe joining Roberto Rossellini sporting a sparkled tux ! more glam pieces I found coming soon! in the meantime….